Whenever I hear someone say they're "all golf'ed out," my immediate reaction is, "impossible!" On May 14th I'll see whether it really is possible when I attempt my second 100 Hole Hike! I can't imagine a better way to spend my day than on the links... raising money for Caring Kind This is the marathon of golf... I'll be playing more holes in one day than a Pro plays in a 4 day tournament!!! 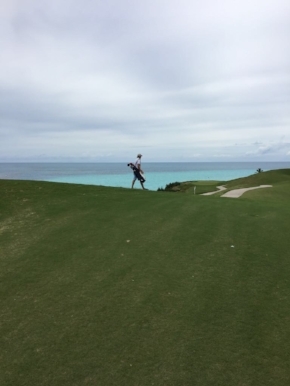 Please consider helping me keep my legs moving (and clubs swinging) by supporting the Caring Kind by clicking on the black "Pledge Thru Me" link. Thank you!! I have been playing golf for about as long as I have been able to walk. While I have had moments of having a handicap in the low single digits, work life and the realities of being an adult have turned my short game and putting into something that looks a little bit like scratch off lottery tickets - you have high hopes, but it probably isn't going to work out for you. In 2015, my wife and I had our first child, a little boy named Jack. Jack was born at 25 weeks and was a very sick, but very perfect, little guy. Right from the start he fought like a sailor and hit like a ton of bricks, but life on this side of the line was not meant to be and Jack was called home at 3 days old. Golf has taken on a new meaning since then. The game I intended to teach my son, has turned into my son teaching me. Jack teaching me that even the most trivial of pursuits can have meaning and sponsor profound change in you and those around you. We take on this challenge and plan to raise a great deal of money for the hospital that fought so hard to keep our son with us. We walk the good walk to fight the good fight in the battle to better understand and manage preterm birth. My wife and I have found great strength in our faith and feel that perhaps Jack's purpose was to give his life to inspire profound change in ours and in those who touched his battle. Walk with us to help Jack help the world. I am super passionate about golf! I started playing in grade school and was hooked immediately. As everyone who knows me will attest, there is no place I would rather be than out playing golf. 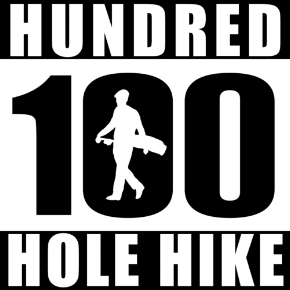 The 100 Hole Hike is a great way for me to do something I love while doing something meaningful for others. Please support my 5th 100 Hole Hike! My name is Mike Caputo and I live in Pennington, NJ. 2018 will be my 4thHundred Hole hike. I am playing for Bega Kwa Bega, which means “shoulder to shoulder” in Swahili. This is an organization established by my father in-law Rev Gary Langness as a way to help the community in and around Iringa, Tanzania. Over the last 30 years Bega Kwa Bega has helped establish one of Tanzania’s leading universities as well as helping people with some of the basic needs of life. Current projects we are working on include sponsoring the Hruma Orphanage, helping kids afford secondary education, paying for qualified students to attend the Ilula Nursing School, the Ilula Hospitaa Emergency Fund, and drilling wells for remote villages, among others. 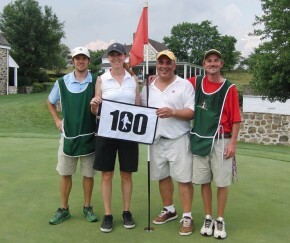 The Hundred Hole Hike is a fun and inspirational way to raise money for a great cause. Thanks for your support.